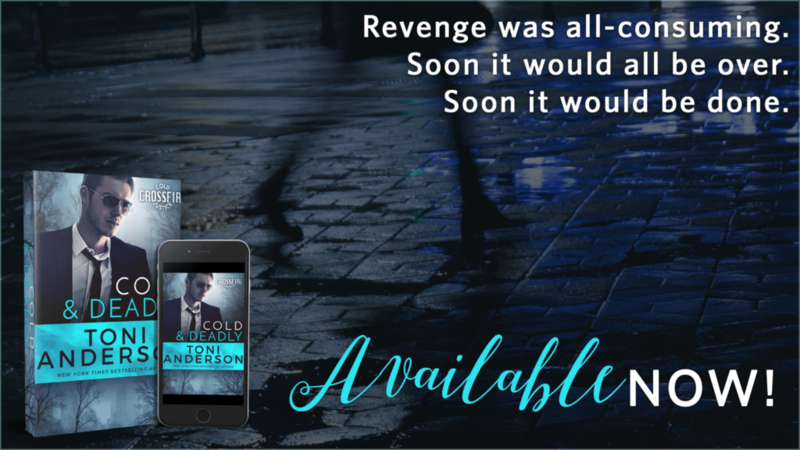 Romantic Suspense lovers – the first book in Toni Anderson’s Cold Justice: Crossfire series is available today! Pick up your copy of COLD & DEADLY now! Hostage Negotiators can talk themselves out of anything—except falling in love. FBI Supervisory Special Agent Dominic Sheridan is an accomplished expert in the Crisis Negotiation Unit. Practiced, professional, used to dealing with high-stake situations under tense conditions, Dominic is a master at manipulating people. Everyone, that is, but the headstrong rookie agent bent on destroying her fledgling career. As a child, Ava Kanas put her life on the line when the mob executed her father. Now someone has killed her mentor, the man who inspired her to become an FBI agent—and she’s the only one who recognizes it was anything but a tragic accident. When another agent is murdered and Dominic nearly dies, it becomes obvious a serial killer is targeting the FBI. Together Dominic and Ava search for clues in the investigation, all the while fighting a forbidden attraction that will complicate everything, especially when the predator sets their sights on Ava. 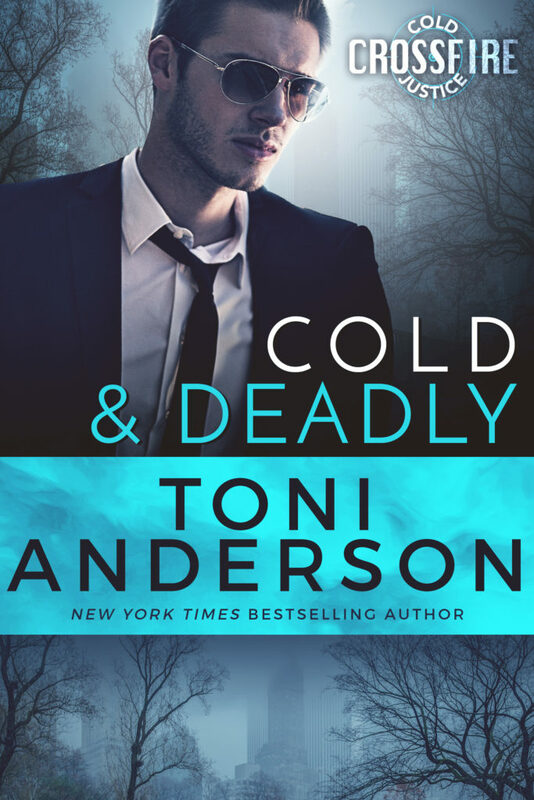 Get your hands on COLD & DEADLY now! Was he awake? She listened attentively for the sound of his breathing but she couldn’t hear a thing. Feeling slightly panicked that he’d left her here alone, she caught the bottom of the makeshift curtain and raised it high enough to see the man lying on his back, features softened in sleep. She stared, taking in the straight nose, thick brows and stubborn jaw. The bruises from the accident looked like darker shadows in this dusky twilight. His mouth was parted and she found herself wondering what it might be like to kiss him. He rolled onto the side facing her and suddenly opened his eyes. Ava froze, then whispered slowly, “I thought you might have left me behind…” She tried to swallow her mortification at being caught staring at him. The words revealed more than she wanted. Her heart pounded crazily as she held his gaze. She should tell him about Gino. Confide the truth. He’d understand and wouldn’t send her away. His palm was so hot against her skin it burned. She wanted to get closer to that heat. The craving was so overwhelming it terrified her, paralyzed her. She lay there staring up at the ceiling, until dawn flooded the room with light. She didn’t sleep another wink. Toni Anderson is a New York Times and USA Today bestselling author, RITA® nominee, science nerd, professional tourist, dog lover, gardener, mom. Originally from a small town in England, Toni studied Marine Biology at University of Liverpool (B.Sc.) and University of St. Andrews (Ph.D.) with the intention she’d never be far from the ocean. Well, that plan backfired and she ended up in the Canadian prairies with her biology professor husband, two kids, a rescue dog, and two laid-back leopard geckos. Toni started writing while pregnant with her first child and never stopped. Her greatest achievements are mastering the Tokyo subway, climbing Ben Lomond, snorkeling the Great Barrier Reef, and surviving fourteen Winnipeg winters (fingers crossed). She loves to travel for research purposes and was lucky enough to visit the Strategic Information and Operations Center inside FBI Headquarters in Washington, D.C. in 2016, and she also got to shove another car off the road during pursuit training at the Writer’s Police Academy in Wisconsin. Watch out world! Toni’s books have hit #1 in Barnes & Noble’s Nook store, and the Top 10 on Amazon, Kobo, and iBooks. Her novels have won many awards. 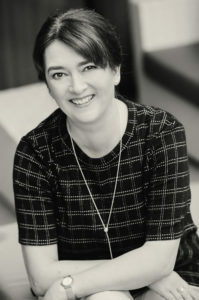 If you want to know when Toni’s next book will be out, visit her website (http://www.toniandersonauthor.com) and sign up for her newsletter. If you want to read other fascinating stories about life in a city that, during winter, is sometimes colder than Mars, friend her on Facebook: (https://www.facebook.com/toniannanderson).